There's a lot of stretch in the nylon vamp of Drew's black "Antwerp" therapeutic VELCRO® strap shoe. Because it also has double added depth and dual removable inserts, the stretch "Antwerp" can comfortably accommodate even problem feet. 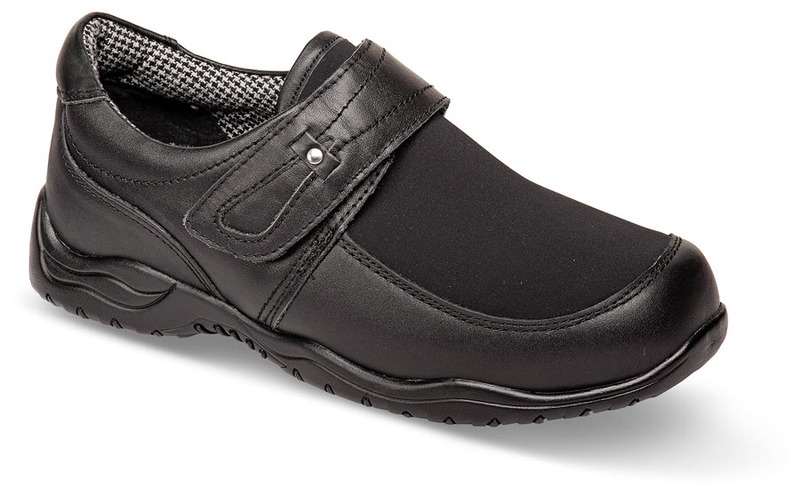 Cushioned footbed with moisture-wicking Dri-Lex® top cover. Soft fabric linings. Tempered steel shank. 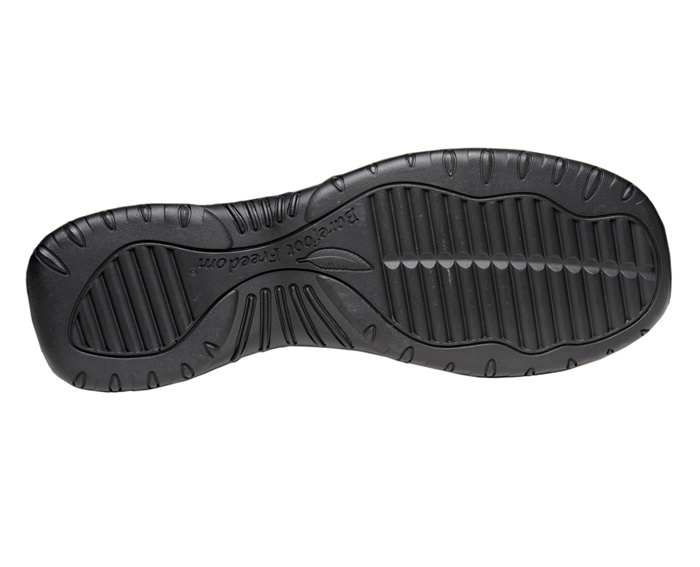 Lightweight slip-resistant polyurethane outsole. Originally $159.95. Just a few pairs left in women's 2E and 4E widths in sizes indicated.